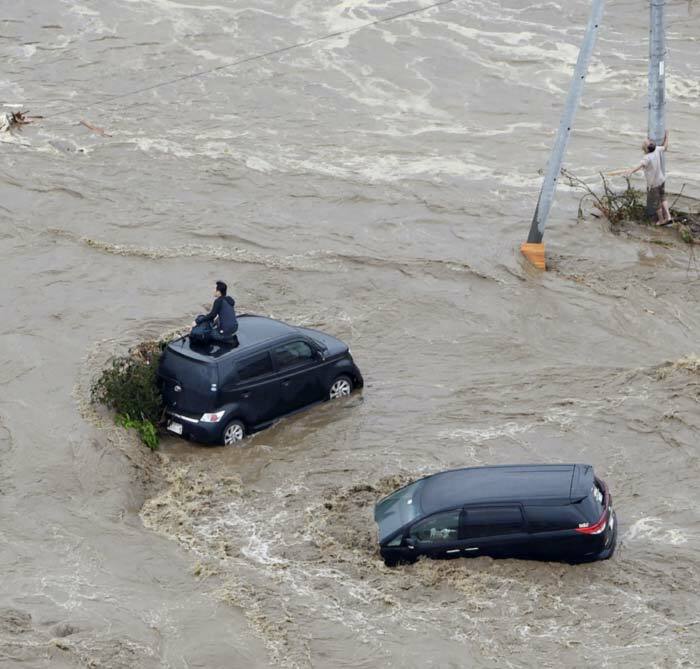 Disastrous floods have left three dead and dozens missing in eastern Japan as thousands of rescuers were deployed to evacuate trapped residents from an inundated city north of Tokyo. 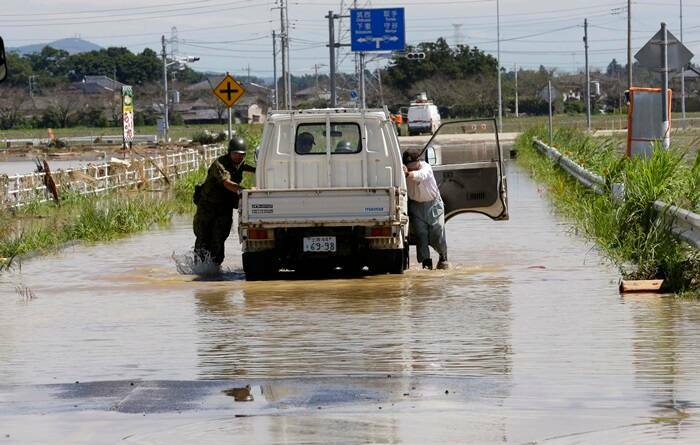 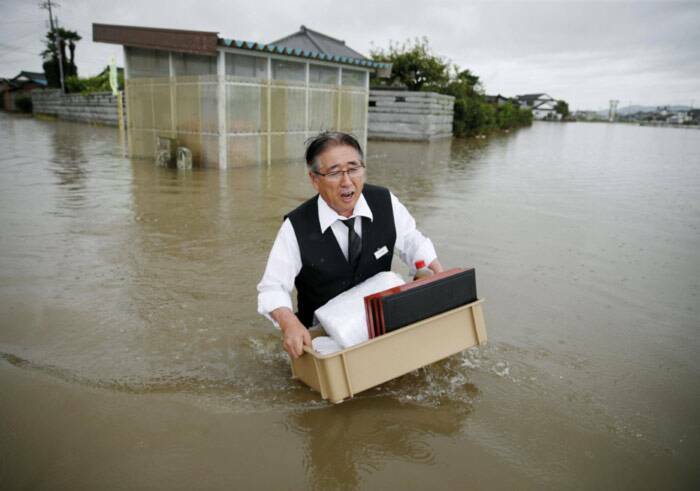 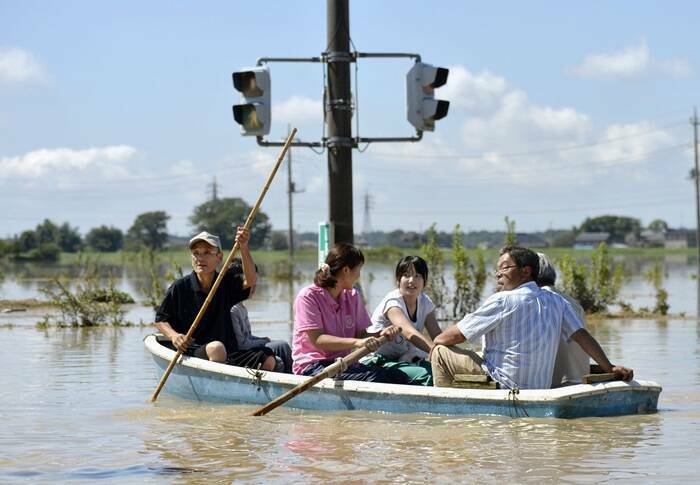 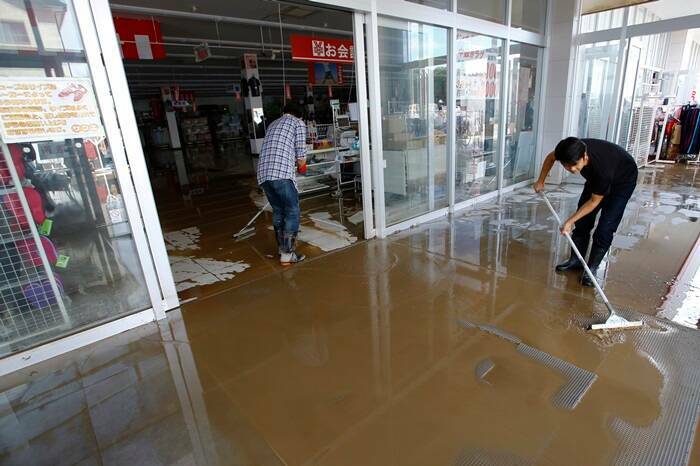 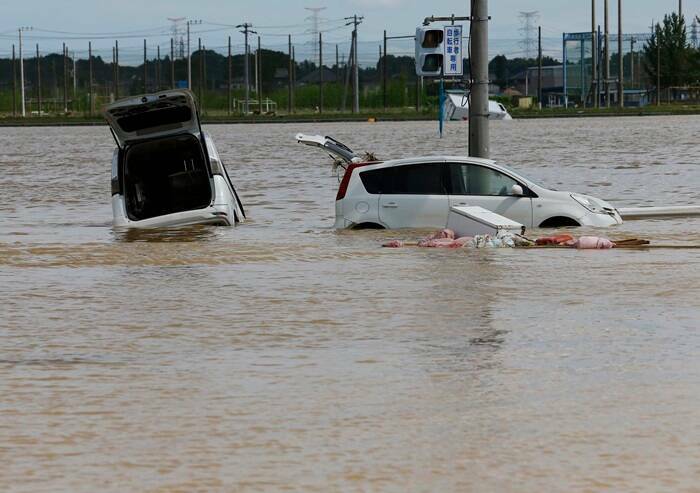 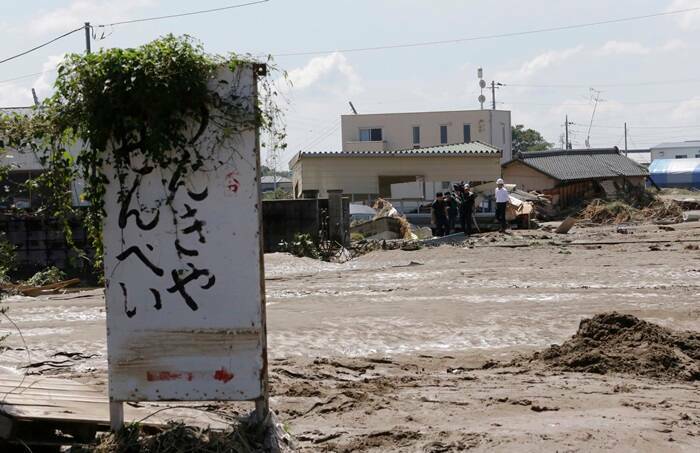 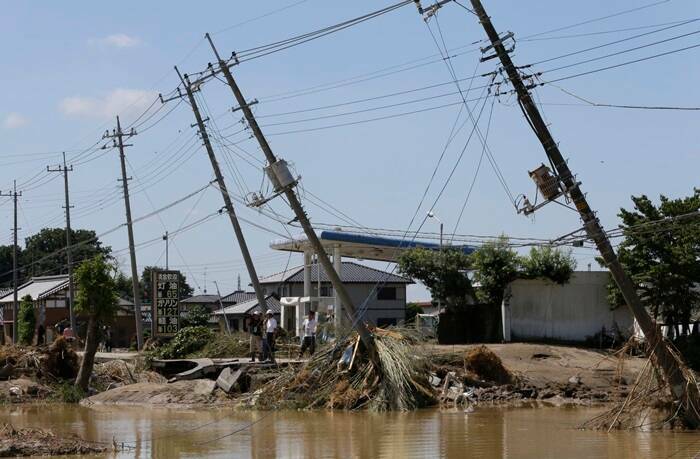 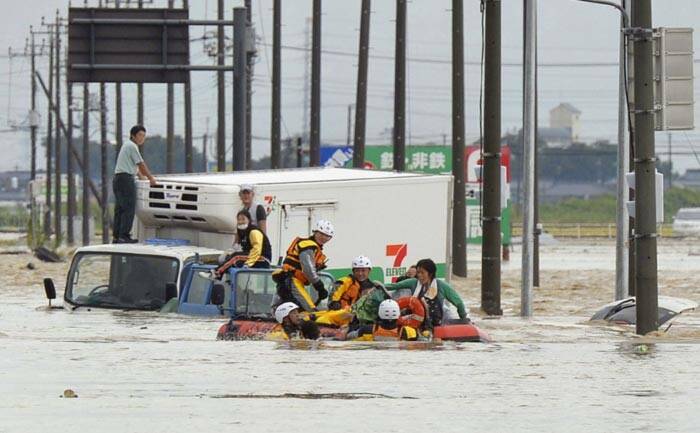 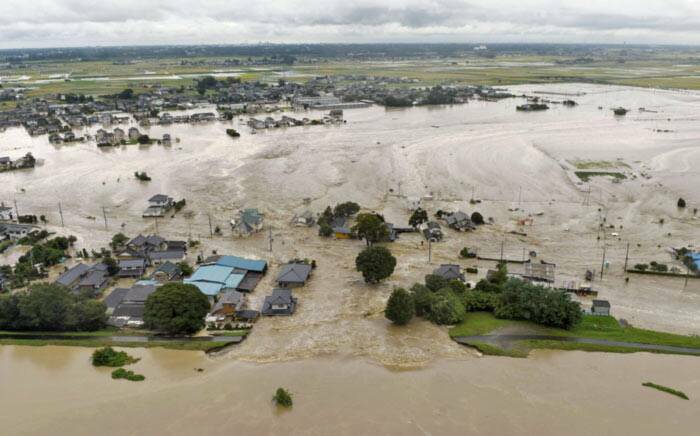 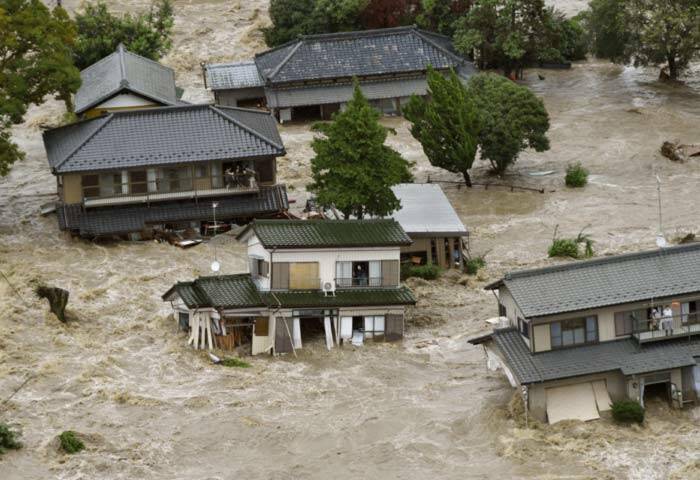 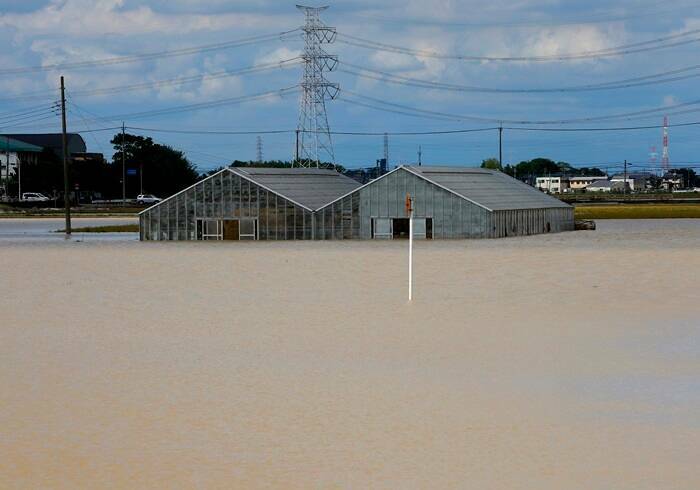 Disastrous floods have left three dead and dozens missing in eastern Japan, authorities said on Friday (September 11) as thousands of rescuers were deployed to evacuate trapped residents from an inundated city north of Tokyo. 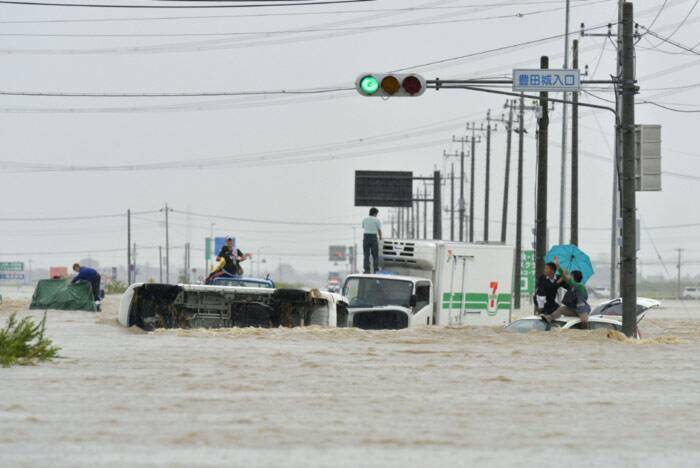 The heaviest rain in decades pounded the country, threatening to worsen conditions in the wake of Typhoon Etau, which smashed through Japan earlier this week bringing strong winds and travel chaos. 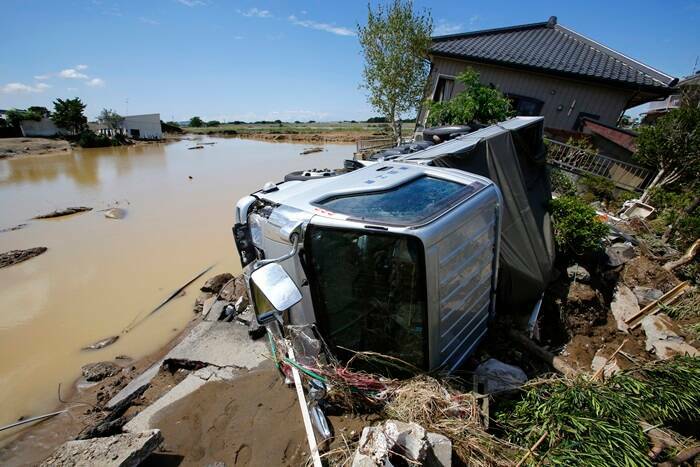 Survivors of the flooding recounted horrific scenes as the muddy brown waves swirled around their doomed houses, while trees were uprooted and cars bobbed in the dirty water.